Often, one of the most neglected pieces of diving and snorkelling gear is the equipment bag. If there is one thing that is to be learned about care and maintenance, it is to realise that the bag is for temporary storage transport. Those of you (and you know who you are) that use them for prolonged storage will often experience a wide variety of smells to stimulate the olfactory senses. The following are simple "to do" and "not to do" recommendations. Before using the dive/snorkel gear bag make sure to inspect all seams looking for any seam separation and please do not pull any thread ends that may be sticking out. Most loose thread or thread ends may be trimmed using a pair of scissors and may even be melted back by using a butane cigarette lighter or a match. Zip and unzip any zippers checking for proper function and it should move easily, with no "catching". Check any hook and loop closures for any debris that may have attached itself to the hook side or the loop side, this is usually particles of sand, thread-like material and even bits of dried vegetation. This can be removed using a soft bristled toothbrush and a little patience. Do pay careful attention to the zippers of your equipment bag. Lubricate the zippers using a manufacturer recommended zipper lubricant making sure to follow all directions and warnings for that product. We recommend using McNett Zip Care for pre-cleaning purposes followed by McNett Zip Tech for lubrication. McNett Zip Care Zipper Cleaner and Lubricant is the ultimate zipper product. Ideal for use on plastic, nylon or metal zippers. 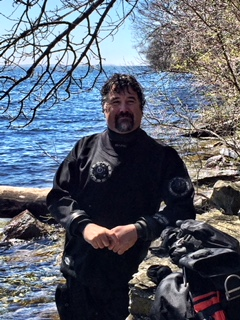 on dry suits, immersion suits, survival suits, wet suits, waterproof bags, tents and backpacks, gear bags, protective clothing, environmental suits and more! McNett Zip Tech Zipper Lubricant provides heavy-duty lubrication and protection for all types of watertight and airtight zippers. Special ingredients inhibit rust and resist corrosion. It is a good idea to make a check list of the items that you will be packing for your diving or snorkelling adventure. Keep the list in your carry-on luggage if using commercial transportation and should your bag get lost or stolen, you will have an detailed list of what was in it. If the gear that you are packing is for more than two people it is highly advisable to have smaller mesh or bags included for each person's set of equipment. This is especially a good idea if any of your excursions involve boat travel as it is much easier to stow smaller gear bags on boats than it is large and clunky ones. Make sure that you completely empty your diving/snorkelling gear bag prior to storage, which includes checking every nook, pocket and cranny. Since it is used to transport your gear to and from your snorkeling location, there is a 99.9% chance that it will come into contact with water at some point or another. It is therefore advisable to rinse the gear bag with fresh tap water to reduce the possibility of particulate matter embedding itself into the fabric as the bag dries. Also, make sure that it is completely dry prior to storing it. It should not be dried directly in the sun but rather a shaded dry area and then be stored in a cool dry area. Did you know that the majority of bag damage occurs on baggage carousels at airports? If the bag is too heavy for you to easily manage then a baggage handler will have the same problem. Don't encourage others to abuse your bag! When you have over packed your bag, as we all do, or have left items sticking out and it falls off the carousel as a pile of scrap do not send it back to the manufacturer! Your first course of action is to contact the baggage handling agent and register a claim before leaving the airport. Do this promptly. Failing to do that, contact your holiday insurers. Wash all salt and dirt deposits off. When string, baggage tags etc. become wrapped around the wheels, this can cause then to lock and may cause flat spots to develop. After dragging a wheeled bag across rough ground and sand, make sure the bag gets cleaned. Clean the zippers. Zip pullers can jam with salt and dirt. Immerse in water or use silicone spray for maintenance. Most zippers can burst due to over packing. Zippers can be easily recovered by zipping back to the beginning and re-zipping. the teeth will re-mesh although it may take a couple of tries. Do not force anything.